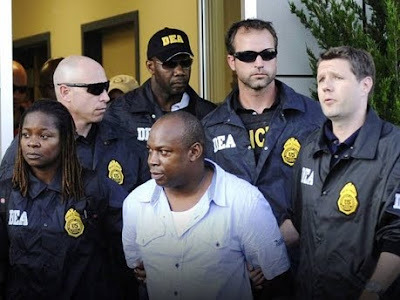 In August 2011, Christopher “Dudus” Coke pleaded guilty in a Manhattan federal court to charges of racketeering conspiracy and conspiracy to commit assault in aid of racketeering, avoiding a life sentence. At the time of Coke’s plea, U.S. attorney Preet Bharara remarked that “For nearly two decades, Christopher Coke led a ruthless criminal enterprise that used fear, force and intimidation to support its drug and arms trafficking 'businesses.' He moved drugs and guns between Jamaica and the United States with impunity." Coke's sentence was expected to be issued by the judge on February 28, but was postponed to March 16, in order for Coke’s defence to prepare a point by point rebuttal of the federal prosecutor’s request for a maximum sentence of 23 years in prison. "A substantial sentence - the statutory maximum - is necessary to reduce the risk that Coke resumes his leadership position in the organisation and his criminal activities upon his release from prison and his return to Jamaica," said the presecution. Coke gained international notoriety in May 2010, when widespread, intense fighting occurred between the Jamaican Defence Forces (JDF) and Coke's armed supporters in his West Kingston garrison community of Tivoli Gardens. The violence left more than 70 people dead. Coke was well defended in Tivoli by barricades, lookouts, and armed patrols. His community support stems from his notoriety as Jamaica’s most powerful don, leader of the notorious Shower Posse gang, and his provision of protection and free public goods, like electricity and tuition, to many Tivoli community residents. Coke remained on the run until June 22, 2010, when he was intercepted at a security checkpoint and later extradited to face a litany of charges in the United States. At the time of the raids, Jamaican prime minister Bruce Golding was the sitting Member of Parliament for West Kingston, but by all accounts Coke was really the one in charge. It became well known in Jamaica that Golding owed his seat and a significant part of his rise within the Jamaican Labour Party to the direct intervention of both Coke, and former JLP leader Edward Seaga. Tivoli Gardens, located in West Kingston, has often been referred to as a classic examlpe of how "garrison politics" has influenced politics in Kingston. Garrison politics refers to the fierce loyalty demonstrated by the populations of large scale public housing estates - essentially states within a state - in Kingston to the party who created them. Golding would not easily forget such favors, and his later attempts to repay Coke for his political support would in fact lead to his exit from Jamaican politics. The violent events in May 2010 and the subsequent political fallout related to the “Dudus saga” led to the eventual resignation of Golding, as it became apparent that he was the central figure protecting Coke from an August 2009 extradition request by the United States. Golding quickly rejected the extradition request because he claimed that the charges were based upon illegally obtained wiretaps. In March 2010, Golding’s reputation took what many consider to be its fatal blow, when it was revealed that his government had hired the U.S. law firm Manatt, Phelps & Phillips to lobby the U.S. government to drop Coke’s extradition case. Golding’s resignation on September 25, 2011, deeply shook up Jamaican politics and led to the eventual steamrolling of the JLP in the December 29th elections by the People’s National Party, led by Portia Simpson Miller. The one term run of the JLP was the first time in Jamaican politics that the electorate did not give a sitting government a consecutive term. The Golding-Coke scandal appeared to be too much for the Jamaican people to forgive, returning just 22 JLP members to the 63-seat parliament. For many, the trial of Christopher “Dudus” Coke was seen as an opportunity for him to come clean about the deep links between organized crime and the political establishment. It remains to be seen if the upcoming rebuttal by Coke will lead to any further political fallout, or if his silence will leave Jamaica’s “garrison politics” intact. While the trial revealed the deep ties between crime and politics in West Kingston, it further highlighted the brutality and relative impunity that the JDF employs in the garrisons, which resulted in the deaths of dozens of innocent civilians. The Coke's silence during the trial has also been mirrored by the Jamaican government, which has yet to publically release any information about the civilians who were killed in the raids, flatly stating instead that the dead were criminals and armed supporters of Coke. Such stories highlight the complex realities of Jamaica’s garrison politics, as many of the criminals in this affair were also the ones entrusted with enforcing and upholding the law.